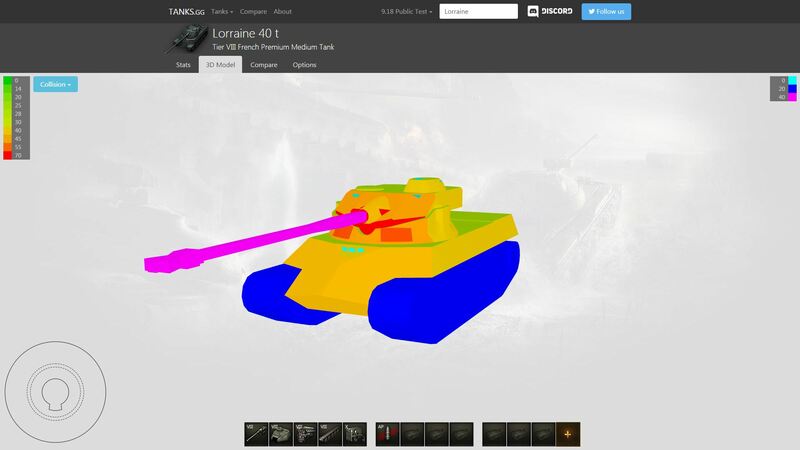 Another upcoming Premium Tank has been credited as a rental into my account so I could test it, but this time I believe is something a lot of you have been waiting for: Lorraine 40t. 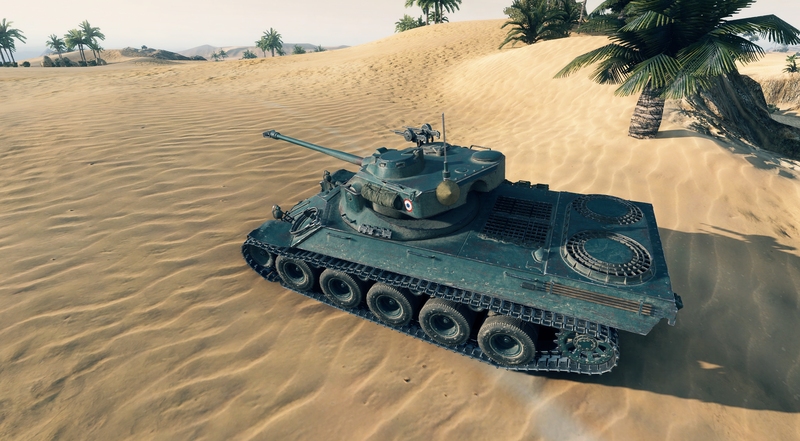 The old Tier IX French Medium Tank that got replaced by the Bat.-Châtillon 25t AP is now making a return as a Premium Tier VIII Medium tank and it will be the first ever Tier VIII autoloader premium added to the game and will cost approximately 40€, should be in the store in the next few days. 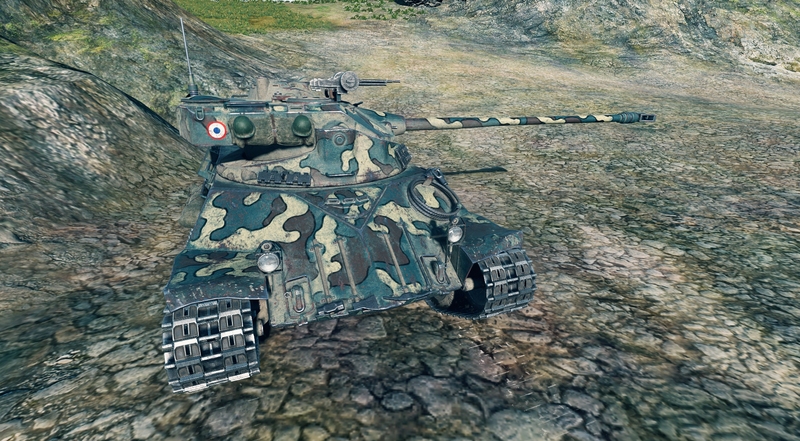 This experimental French tank was developed during the 1940s. Two prototypes were manufactured in 1952. In addition to the oscillating turret, the vehicle featured suspension with air-core tires and pike nose armour. The design passed trials, but never entered mass production. Note: Values for 100% Crew with Brothers in Arms, Recon, Situational Awareness, Concealment, Snap Shoot, Smooth Ride and equipped with Vertical Stabilizer Mk I, Improved Ventilation and Enhanced Gun Laying Drive. 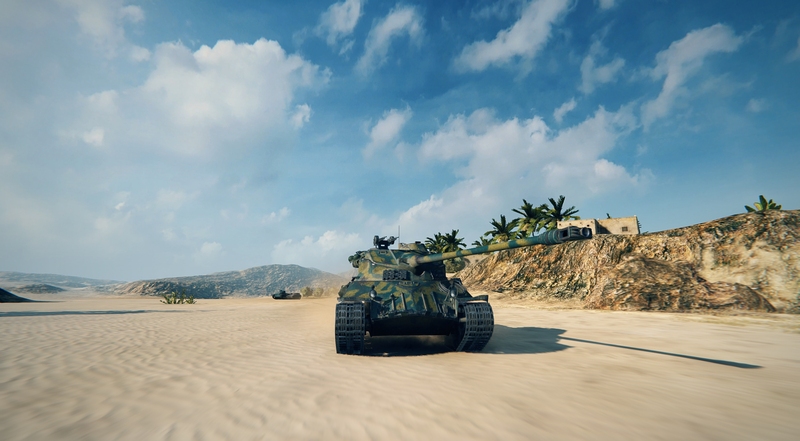 First let’s just say this tank fits so much better the French Medium branch as a crew trainer and enables players to learn how to play Top Tier French auto loaders, with only three crew members you can now finally train that Bat.Chat. 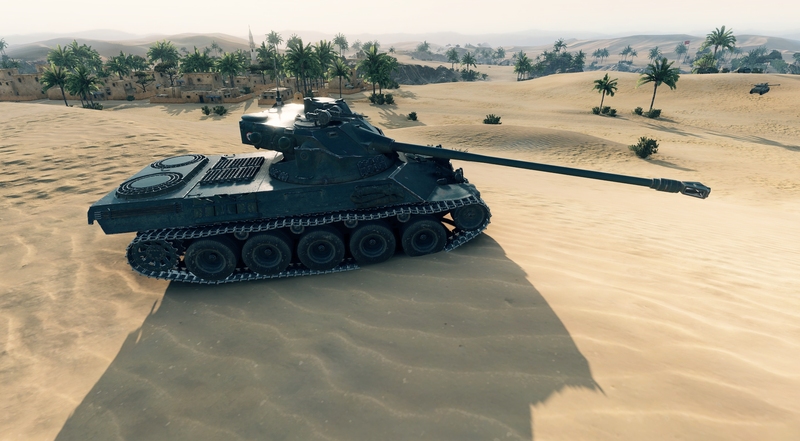 crew without the need of getting an extra crew member just to be able to use a Premium tank. 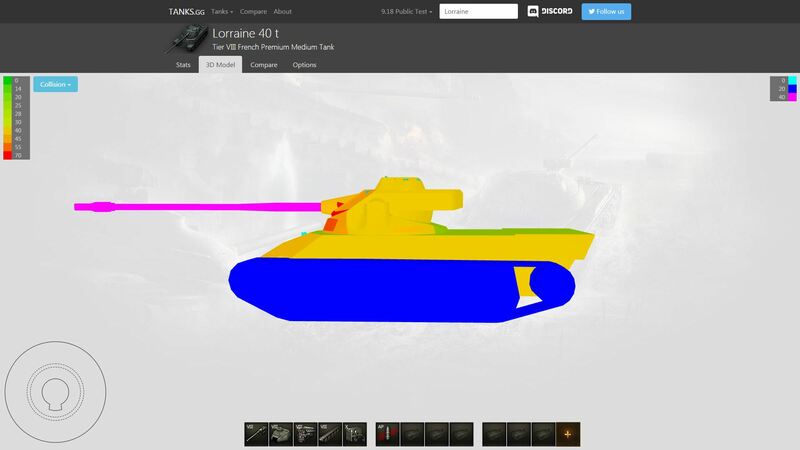 The Lorraine 40t used to be a tank where players either loved it or hated it, being moved to Tier VIII hasn’t change this. 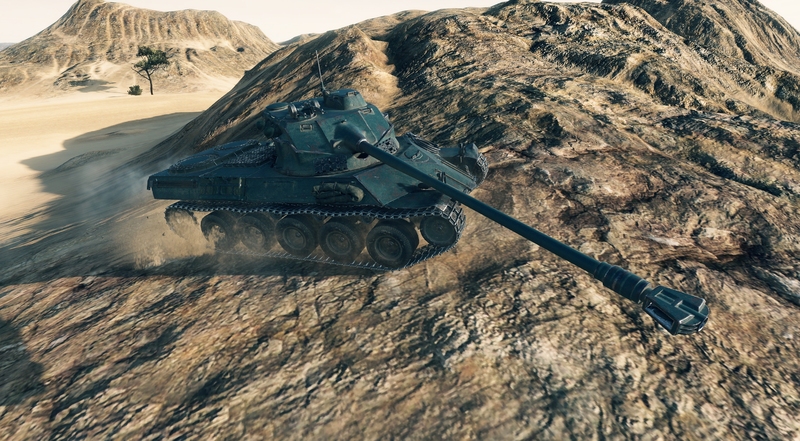 If you did like the tank when he was a Tier IX, you will like it now, but if you never liked the tank so much… You might find it hard to like it now that it’s a Tier VIII. It’s mobility is excellent, with a 850 hp engine it can deliver an amazing 21.07 hp/t specific power, meaning it doesn’t struggle to move anywhere even up a hill. 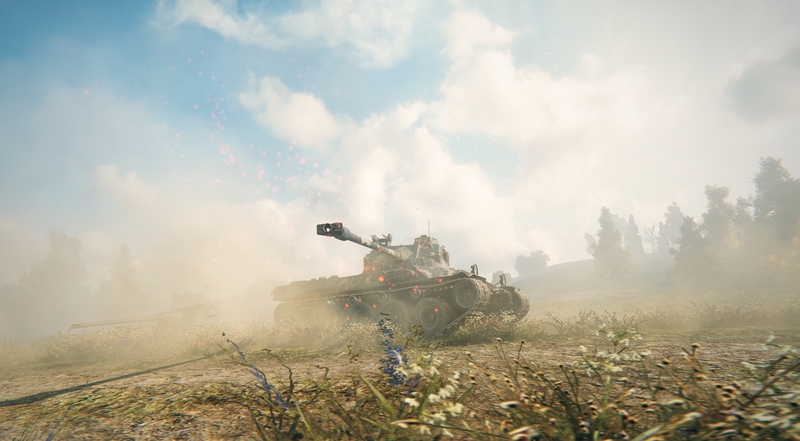 With great terrain resistances and traverse speed, maneuvering and re-positioning won’t be a problem and these actually two of the tank strengths. But don’t forget, your armour is non existent, if you choose to go face to face with your enemies you will quickly regret that decision. Having such weak armour means you will have to play second line on a support role, helping your team to drain the enemies health points. 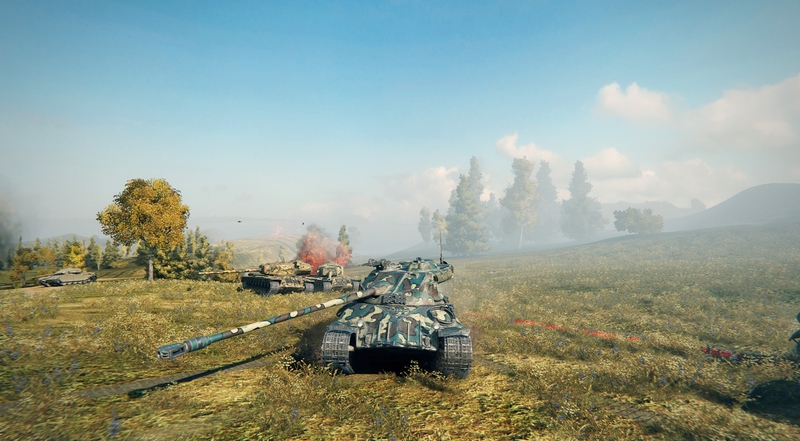 You should never try to play on the front line has a damage dealer, not just the armour wouldn’t be able to stand any fight, but together with the fact the tank is an auto loader with only four shells you would get out of action very quickly. The tank is more of a flanker, or support like I said before, but can also be a good finisher. If you find yourself in a position where your teammates are dealing some damage, wait for the right moment and poke out on that enemy that just fired and has low health points to finish him, then just retreat back to reload and repeat the process. Or if you prefer a lone wolf role, try to outflank your enemies using your mobility, while your team engages on a front line, try to find your way around so you can pick your enemies from their side and cripple them from their health points. With the decent aiming time value and gun accuracy, it won’t be hard to engage your enemies from 200 to 300 meters. 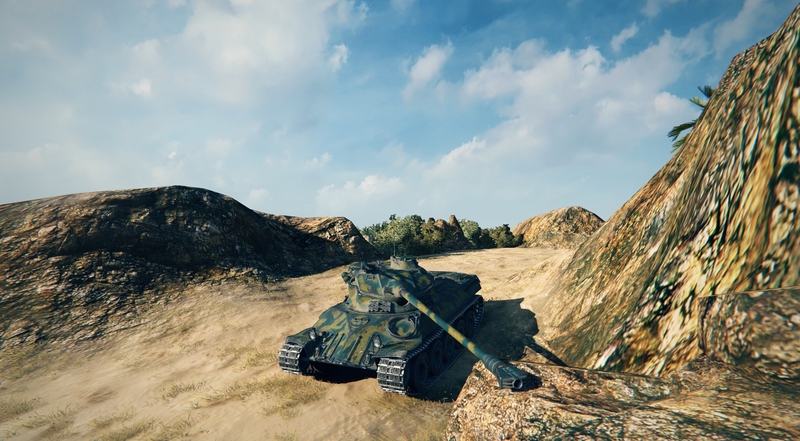 With eight degrees of gun depression, you can easily use the terrain to give you some cover, but don’t forget you are not an American tank that can play hull down and any tank from Tier VI upwards can easily penetrate your turret. And what about credit making ability, you might ask. 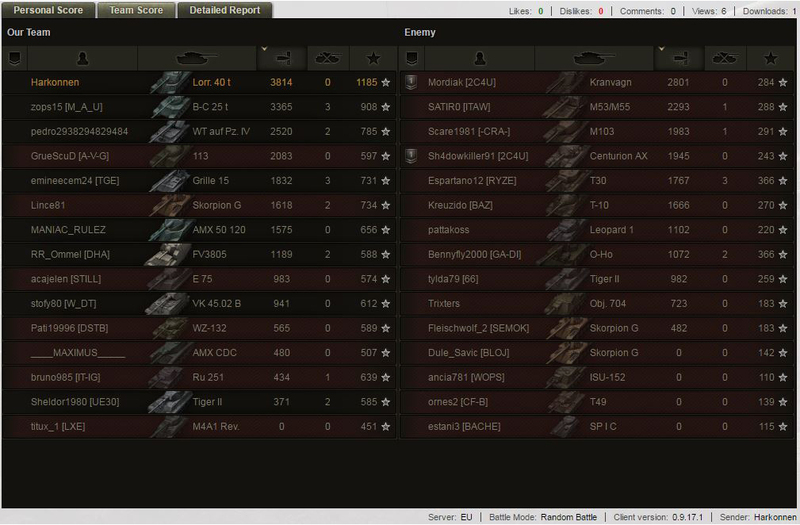 Well, I can say it’s a very decent tank when it comes to make credits, and as per usual, I do share my non Ace Tanker battle where you can see an average decent battle and how much profit the tank is able to do. 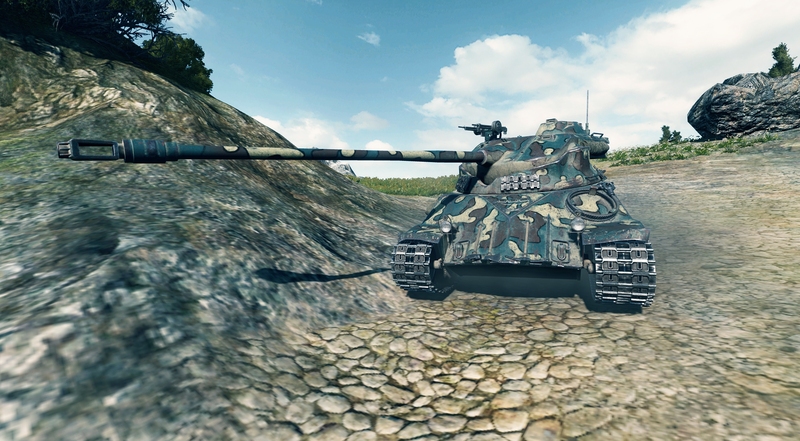 Overall it’s a decent Premium tank and something I might add to my collection. 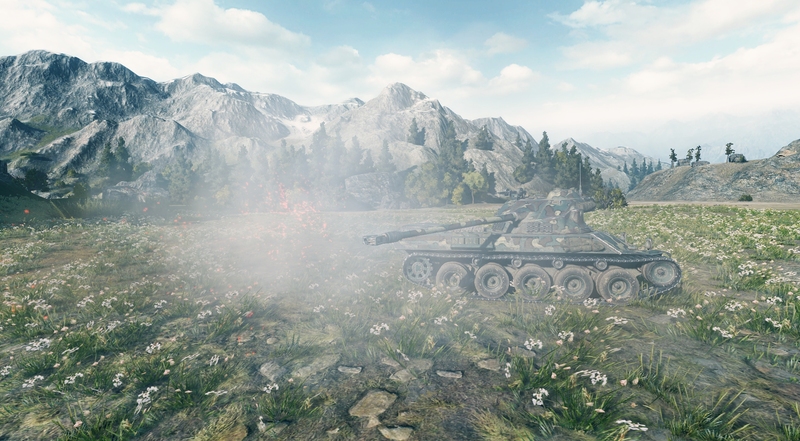 I’ve felt very comfortable playing with it and I haven’t felt this way with any Premium tank released recently. Maybe because I do enjoy playing with medium tanks and auto loaders, if this is your cause, then it’s a tank you can’t miss out. Amazing top speed of 60km/h. 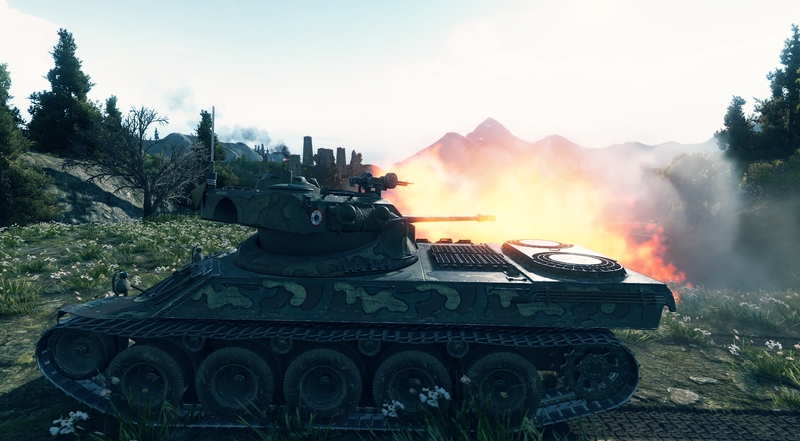 Better to train French Medium Crews. 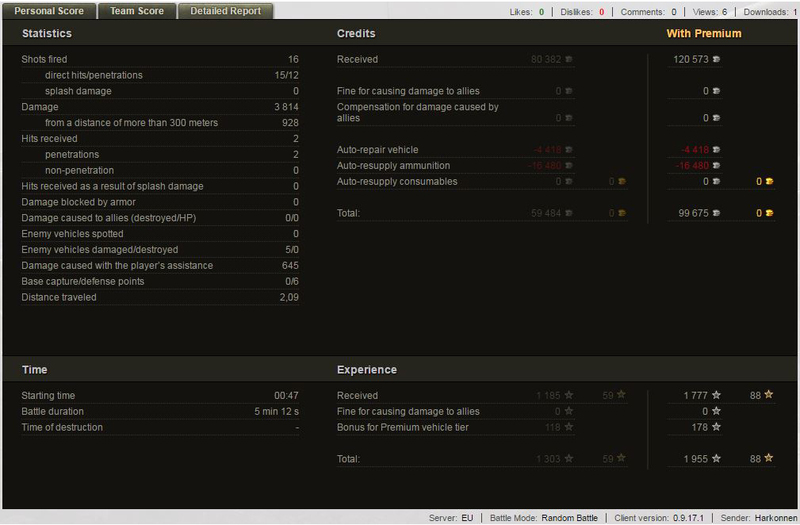 232 penetration on a tier 8 premium medium with an autoloader and 21 hp/t… Tier 8 premiums are really good nowadays, eh? 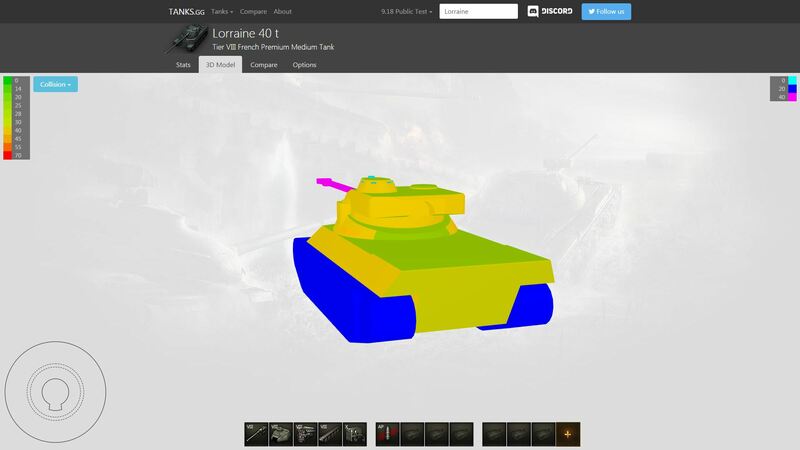 What if I liked it when it was a tier VIII but not so much when it was tier IX? I am really concerned about its small dpm. It apears they have buffed the penetration cause of this. 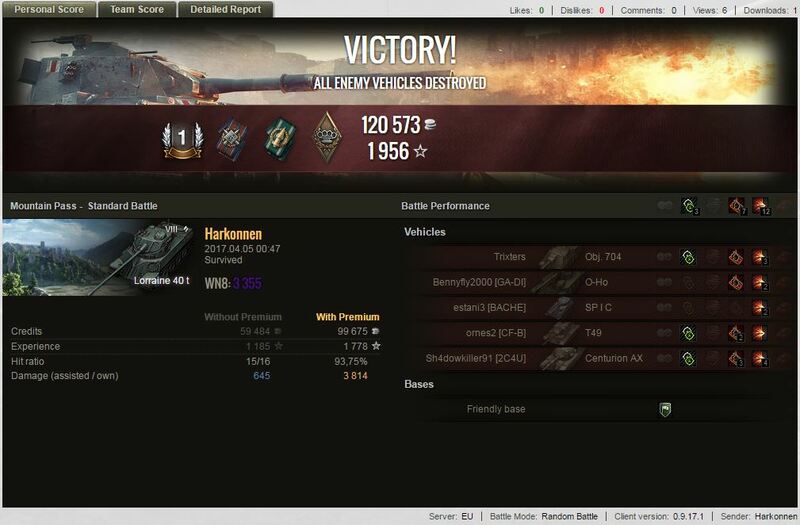 Well, in AMX 50 100 few shots sometimes bounces or goes to other lands anyways so that might just not be that bad. Its a problem, but if you aren’t a pure tomato, youll manage! I did get frustrated some times when I had 4 shells, 1200 potential damage and only did 300 because only 1 hit the target… You need ai aim or play closer to get all 4 in. But I did manage to play with it at mid ranges. When will be available on EU Region, May 7? I had this tank before she was removed and I LOVED It. I played my lorry more than I did the batchat!! I am buying this as soon as I get home. What are the camo values on it, would you be so kind?